Our team has been created on January 1st, 2006, initially as a monothematic research unit (UMRS 762). 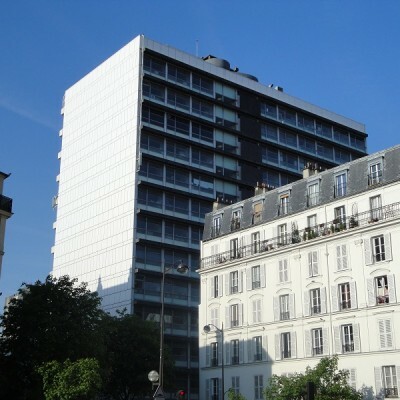 In 2009, it has joined the Saint-Antoine Research Centre located in this Hospital that was recently created by the INSERM and the University Pierre and Marie Curie. The topics for our research group are focused on the study of mismatch repair (MMR)-deficient human tumors that develop through a particular molecular pathway characterized by the genetic instability of numerous microsatellite repeat sequences throughout the genome (MSI tumors). Since founded, the research interest of our lab is the analysis of the genetics of MSI tumors whatever their localization. The overall aim of our activity is to investigate important pathophysiological aspects of MSI carcinogenesis. Questions and hypothesis, on the fundamental and clinical sides, related to this particular tumor type are deduced from the analysis of causes and functional consequences of the microsatellite instability process characteristics of these tumors. These last ten years, we have built and exploited a unique collection of biological tools, mouse models, sample collections, clinical databases and techniques that have been designed or adapted by ourselves and collaborators for the study of MSI cancers. Translational research topics have been developed in order to gain maximum benefit from our findings. This allowed the discovery of new risk factors, biomarkers, and diagnostic tools of clinical interest for patients suffering from MSI cancers. J Clin Oncol. 2015 Dec 10;33(35):4176-87. doi: 10.1200/JCO.2015.63.4238. Epub 2015 Nov 2. Adjuvant Fluorouracil, Leucovorin, and Oxaliplatin in Stage II to III Colon Cancer: Updated 10-Year Survival and Outcomes According to BRAF Mutation and Mismatch Repair Status of the MOSAIC Study. André T1, de Gramont A2, Vernerey D2, Chibaudel B2, Bonnetain F2, Tijeras-Raballand A2, Scriva A2, Hickish T2, Tabernero J2, Van Laethem JL2, Banzi M2, Maartense E2, Shmueli E2, Carlsson GU2, Scheithauer W2, Papamichael D2, Möehler M2, Landolfi S2, Demetter P2, Colote S2, Tournigand C2, Louvet C2, Duval A2, Fléjou JF2, de Gramont A2. Gastroenterology. 2015 Oct;149(4):1017-29.e3. doi: 10.1053/j.gastro.2015.06.013. Epub 2015 Jun 25. Diagnosis of Constitutional Mismatch Repair-Deficiency Syndrome Based on Microsatellite Instability and Lymphocyte Tolerance to Methylating Agents. Bodo S1, Colas C2, Buhard O1, Collura A1, Tinat J3, Lavoine N4, Guilloux A1, Chalastanis A1, Lafitte P1, Coulet F5, Buisine MP6, Ilencikova D7, Ruiz-Ponte C8, Kinzel M9, Grandjouan S10, Brems H11, Lejeune S12, Blanché H13, Wang Q14, Caron O15, Cabaret O16, Svrcek M17, Vidaud D18, Parfait B18, Verloes A19, Knappe UJ20, Soubrier F21, Mortemousque I22, Leis A23, Auclair-Perrossier J14, Frébourg T3, Fléjou JF17, Entz-Werle N24, Leclerc J6, Malka D25, Cohen-Haguenauer O26, Goldberg Y27, Gerdes AM28, Fedhila F29, Mathieu-Dramard M30, Hamelin R1, Wafaa B31, Gauthier-Villars M32, Bourdeaut F33, Sheridan E34, Vasen H35, Brugières L4, Wimmer K36, Muleris M37, Duval A38; European Consortium “Care for CMMRD”. Patients with colorectal tumors with microsatellite instability and large deletions in HSP110 T17 have improved response to 5-fluorouracil–based chemotherapy. Collura A, Lagrange A, Svrcek M, Marisa L, Buhard O, Guilloux A, Wanherdrick K, Dorard C, Taieb A, Saget A, Loh M, Soong R, Zeps N, Platell C, Mews A, Iacopetta B, De Thonel A, Seigneuric R, Marcion G, Chapusot C, Lepage C, Bouvier AM, Gaub MP, Milano G, Selves J, Senet P, Delarue P, Arzouk H, Lacoste C, Coquelle A, Bengrine-Lefèvre L, Tournigand C, Lefèvre JH, Parc Y, Biard DS, Fléjou JF, Garrido C, Duval A.
PLoS Med. 2013;10(5):e1001453. doi: 10.1371/journal.pmed.1001453. Epub 2013 May 21. Gene expression classification of colon cancer into molecular subtypes: characterization, validation, and prognostic value. Marisa L1, de Reyniès A, Duval A, Selves J, Gaub MP, Vescovo L, Etienne-Grimaldi MC, Schiappa R, Guenot D, Ayadi M, Kirzin S, Chazal M, Fléjou JF, Benchimol D, Berger A, Lagarde A, Pencreach E, Piard F, Elias D, Parc Y, Olschwang S, Milano G, Laurent-Puig P, Boige V.
Nat Med. 2011 Sep 25;17(10):1283-9. doi: 10.1038/nm.2457. Expression of a mutant HSP110 sensitizes colorectal cancer cells to chemotherapy and improves disease prognosis. Dorard C1, de Thonel A, Collura A, Marisa L, Svrcek M, Lagrange A, Jego G, Wanherdrick K, Joly AL, Buhard O, Gobbo J, Penard-Lacronique V, Zouali H, Tubacher E, Kirzin S, Selves J, Milano G, Etienne-Grimaldi MC, Bengrine-Lefèvre L, Louvet C, Tournigand C, Lefèvre JH, Parc Y, Tiret E, Fléjou JF, Gaub MP, Garrido C, Duval A. The CRSA was renewed jointly by Inserm and UPMC as UMRS_938, for 5 years from January 2014 to December 2018. The CRSA regroups a very strong potential for biomedical research oriented towards both fundamental and translational research. 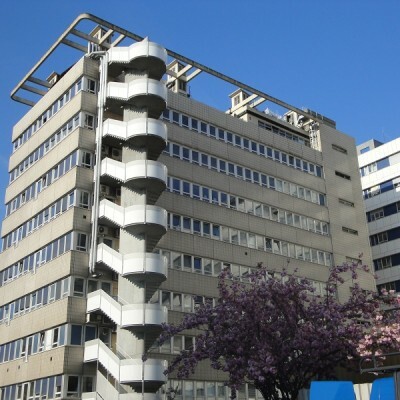 Research is performed in association with the clinical and biological departments of the Saint-Antoine-Tenon-Armand Trousseau hospitals belonging to the same General Hospital Group. 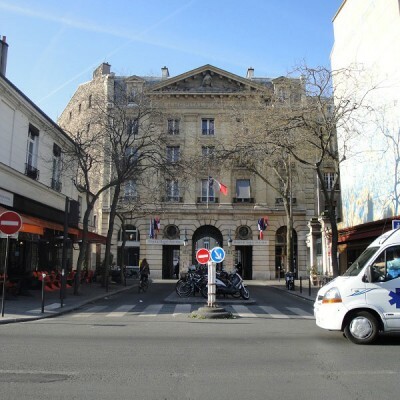 The CRSA is composed of 13 accredited research teams and one administrative team located mainly on the site of the Saint-Antoine hospital but also of hospital Armand Trousseau. Two scientific interacting orientations are identified: Research in Oncology and Haematology; and Research in Metabolism and Inflammation and Tissue Repair. They include several aspects of translational research : Fundamental; Preclinical; Pathophysiological and Aspects more specifically clinical. Team Aractingi - Nguyen VT et al. J Invest Dermal. 2016. Team Aucouturier - Dansokho C et al. Brain. 2016. Regulatory T cells delay disease progression in Alzheimer-like pathology. Brain. 2016. Team Berenbaum - Nefla M et al. Nat Rev Rheumatology. 2016. The danger from within: alarmins in arthritis. Nat Rev Rheumatology. 2016. Team Corvol - Corvol et al. JCF. 2017. Team Delhommeau - Hirsch P et al. Nature Commun. 2016.